* FadeCheckr is a light sensitive patch which allows you to track the light exposure of your target and warns you when its time to replace the Target Sheets. 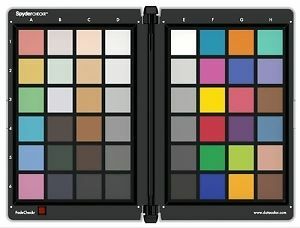 Problem: Every camera make, model, and individual chip records color in different ways. These camera sensors do not see the same as our eyes and the camera manufacturers go through a lot of trouble to manipulate the data so you get a realistic image. But, there is a lot going on that you have no knowledge or control of. Solution: Color control and consistency requires a color reference tool to account for these variations. 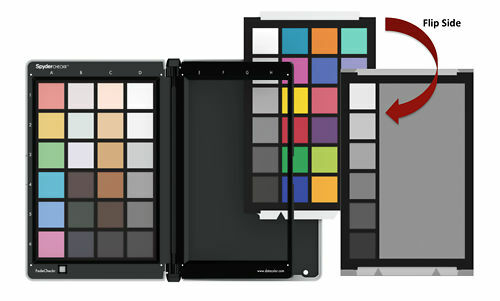 Adding color management at the capture stage of your digital workflow assures consistency and accuracy from day to day as well as from camera to camera. 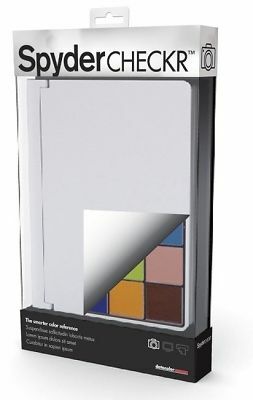 A custom camera profile enables you to apply a ‘translation’ that compensates for the characteristics of the light source and sensors to give a more accurate color reproduction in your images. Feature: Decrease trial and error color adjustment by correcting color automatically as part of your image import workflow. 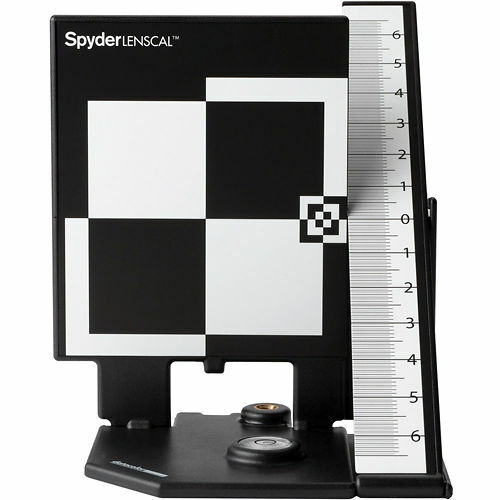 SpyderCHECKR gives you the color reference to capture true color in your photo shoot, create a custom camera calibration and perform precision in-camera white balance. Benefit: SpyderCHECKR helps capture consistent color from day to day and camera to camera and apply these results easily in your workflow with RAW import software such as, Adobe Photoshop and Lightroom. 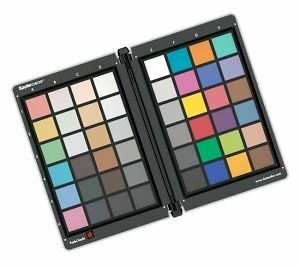 The sturdy design has 48 spectrally engineered color patches, easy to use calibration software making post production quicker by getting consistent, predictable color right from the start. Hand curated articles, links and downloads to help you get the best from your DataColor Spyder Checkr.